Abstract: Welcome to Lighting 101, and what to expect. Learning how to light is one of the coolest doors you can walk through as a photographer. Photography is, literally, writing with light. More than anything else, light determines the way your photos look and feel. To be in control of the light is to be in control of what you are saying with your photos. This entry level lighting course was developed to teach the skills I learned in the process of completing over 10,000 assignments as a working photojournalist. Here, you'll learn the basics of using off-camera flash to create beautiful light and professional-looking photos. Lighting 101, 102 and 103 are all completely free. And the gear required to turn your small flash into a wireless studio is very inexpensive compared to the cost of your camera. This is not a course for iPhone photographers. You'll need a real camera that gives you control of the shutter and aperture settings, and has a hot shoe to accept a flash on top. Almost any DSLR or mirrorless camera will be fine. You'll also need to have a basic understanding of how f/stops and shutter speeds work — and the effects that they each have on your photos. If you have ever used your camera in manual mode (where you are in control of both the f/stop and the shutter speed) you'll be fine. And that's it. If you already have a flash, we'll show you how to tell if it is right for off-camera lighting. (It's probably fine.) If not, we'll show you a solid, inexpensive choice for beginners. 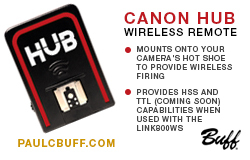 The same goes for the related inexpensive gear you'll need to turn your flash into a wireless studio. More on that in a minute. You are not alone. Hundreds of new people start Lighting 101 every day — over four million so far. Some have go on to become professional photographers. Many simply use what they learn to make beautiful photos of family and friends, or the other various communities that surround them. If they can do it, you can do it. Lighting is not hard, and it need not be technical. 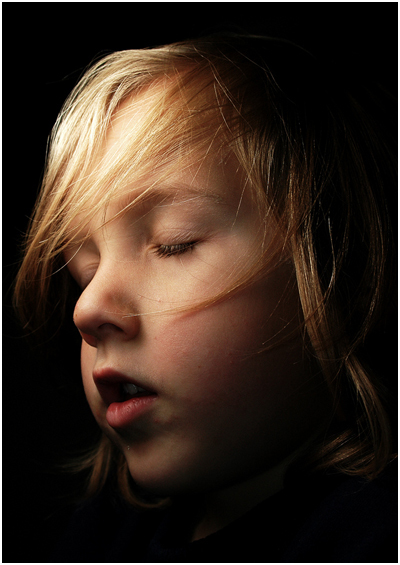 At Strobist we teach an intuituve approach to lighting. Honestly, it's more like cooking than it is like math class. Now that we have digital cameras, you'll get instant feedback on the results of a change in your lighting. 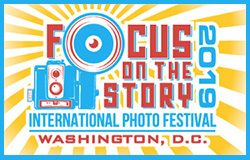 This is a fantastic advantage, compared to when I first learned this stuff as a photojournalist back in the 1980s. That efficient visual feedback loop will help you to learn faster, and your lighting will quickly become intuitive. In short, no worries. This stuff is easy. Sure, like anything else, lighting can be expensive. But it doesn't have to be. If you already have a camera and a flash, we can point you a quality, proven kit that will turn your flash into a wireless, portable studio for under $150. And if you don't yet have a flash, we'll help you there, too. You can get a professional caliber flash for about one third of the cost — and twice the warranty — of a legacy brand (Nikon, Canon, etc.) flash. We'll even show you how to make lighting modifiers for free out of household items. See the photo up top? Strobist reader Sam Simon, who not so long ago was just as new at this as you are now, used a shoe box and some paper to create the light for that portrait. It's the location and the quality of the light that is most important, not how much you spend. By getting your flash off-camera, your images become more three-dimensional, more textured and more professional looking. All of the photos on this page were made by Strobist readers working with small flashes. Not so long ago, those people were exactly where you are now. Strobist reader Ken Brown, who now specializes in automobile photography, started his lighting journey at Strobist. 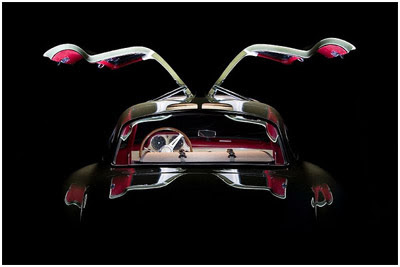 Even while just starting out, he made this photo of a gullwing Mercedes by putting two small, bare flashes on the front seats. This was a very cool trick: he lit the car, while at the same time using the car itself as a lighting modifier. Building on the basics he learned here, Ken has gone on to create lighting techniques of his own. He now makes sophisticated photos of exotic cars using a single flash and multiple exposures to light different parts of the vehicle. We'll give you a good foundation. Where you take it from there is entirely up to you. Lighting can be the difference between snapshots and art. Any 13-year-old schoolgirl already knows to rotate her face and her phone to exploit the best light available for a selfie. Understanding how to create beautiful light anywhere will take your photos to a new level. Learning how to light is easy, inexpensive and fun. And you can take it as far as you want. I long time ago, I was exactly where you are right now. You're about to take an exciting step that will make a huge difference in your photos. Are you ready?